NATIVE HAWAIIAN HIGH SCHOOL STUDENTS TOURED C-MORE AND HAD A HANDS-ON MICROSCOPY LAB IN WHICH THE STUDENTS OBSERVED PLANKTON COLLECTED FROM HEʻEIA FISHPOND. 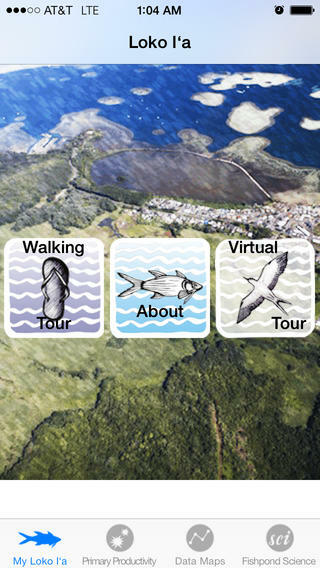 Provides tours of He‘eia Fishpond that can be done on site, or virtually. During your tour, contour maps or time-series graphs of actual pond biogeochemistry can be viewed. A partnership between the Hawaii Institute of Marine Biology, The Department of Oceanography at the University of Hawaii at Manoa, and Paepae o He'eia funded by the National Science Foundation and provides research opportunities to community members interested in learning more about scientific research and He'eia fishpond (NSF-OEDG project: Dr. Judy Lemus (HIMB) PI, KC Ruttenberg and F Thomas, co-PIs).